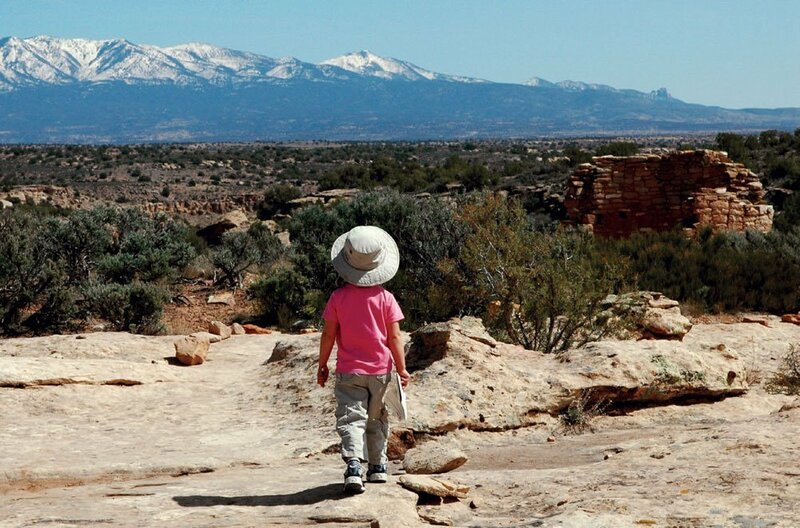 Canyons of the Ancients National Monument, in the southwestern corner of the state, is an amateur archaeologist’s dream: a concentrated pocket of millennia-old ruins, some 20,000 in all. Of these, more than 6,000 have been excavated on just 176,000 acres of Bureau of Land Management land, making Canyons of the Ancients—adjacent to the more famous, and far more crowded, Mesa Verde National Park—the densest collection of public archaeological sites America has to offer. If you’re organizing a trip to the Four Corners and want to plan a stop, these are the highlights to hit. No, it’s not a typo. While the National Monument uses the plural “Canyons,” this quaint working ranch to the south drops the “s.” A friendly and vivacious couple, Garry and Ming Adams, run the place. As their guest—not an easy honor to claim; book early—you’ll be treated to the couple’s first-rate hospitality and intimate knowledge of the area and its history. 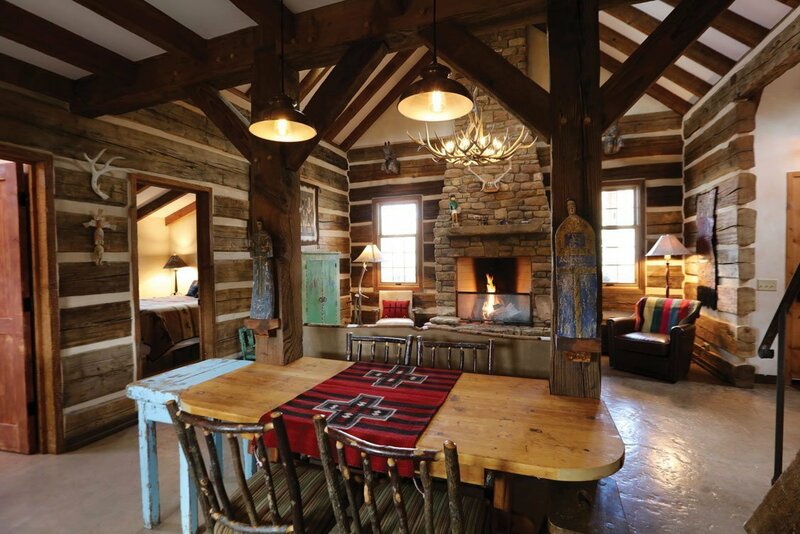 With six uniquely themed cabins scattered around the ranch, your options for lodging run the gamut from the cozy Cowboy Log Cabin, with polished timber floors and leather rocking chairs, to the Pueblo-style Mokee House, with its immense sky-lit shower and outdoor adobe oven. Once home to the famous cowboy Elden Zwicker, the ranch is now a secluded idyll in the middle of McElmo Canyon, filled with friendly livestock (the Adamses keep sheep, horses, cattle, and an uncountable number of roaming dogs and cats), an organic garden, and a large collection of historic artifacts from the region’s ancient cliff-dwelling people. Just down the road from Canyon of the Ancients Guest Ranch, this tiny winery draws attention from around the Four Corners region, and for good reason. Stop by for a tour or a tasting, and the cheerful owner, John Sutcliffe—a self-described “soldier, cowboy, restaurateur, polo player, and winemaker”—will regale you with stories of his wild, practically cinematic, globe-trotting life. Sit for a spell on the shaded porch of Sutcliffe’s house (he lives on the property) and you might get to meet one of the winery’s local farmers, who stop by regularly with bags of grapes for Sutcliffe to sample. The tasting room is open from noon to 5 p.m. year-round and offers a selection of four wines, rotated daily, with ample commentary on each vintage from Sutcliffe, who talks about the bottles as if they’re his children. The most impressive archaeological structure in the region, this 40-room communal dwelling was built around 1060 AD. What remains almost a thousand years later gives an impressive glimpse into the designs—architectural and cultural—of the ancient hunter-farmers who occupied it. With easy road access to the site, you won’t have to hike in, though you’ll want to bring water and a snack—the ruins are complex and sprawling, and visitors are invited to walk through them, exploring every surviving nook and cranny of the ancient village. Shards of 1,000-year-old pottery dot the ground, adding to the impression—thrilling in itself, for a history nut—that the Lowry Pueblo inhabitants abandoned the site just yesterday, rather than centuries ago. For information about the Ancestral Pueblo (Anasazi) and other native peoples responsible for constructing the ancient dwellings found throughout the area, this interactive museum and visitor center, in the town of Dolores, is the place to start. Two excavated ruin sites, the Escalante and Dominguez Pueblos, are on the museum grounds. One of the best features of Canyons of the Ancients, and one that inspires love for the area, is the impression of wildness that prevails. 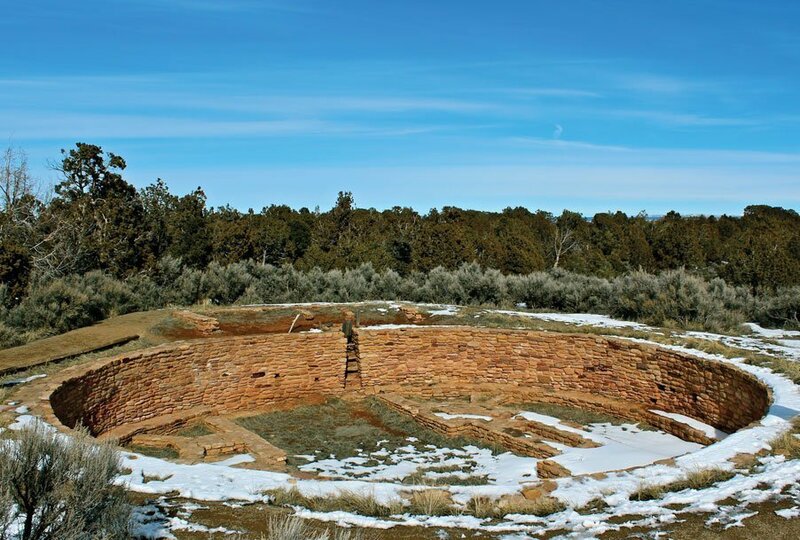 While main attractions like the Lowry Pueblo draw crowds, the monument’s lesser known archaeological sites—thousands of them—are remote and private, most of them hidden in plain sight. The sense of archaeological titillation that comes from stumbling upon one is exhilarating: an Indiana Jones fantasy come true. The Sand Canyon Trail, a 6.5-mile out-and-back hike, is easily the area’s best, weaving past multiple ruin sites. 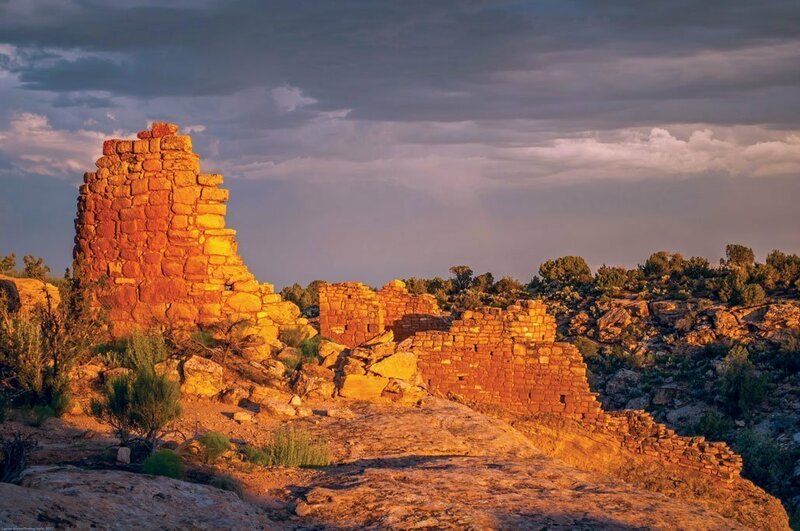 Most of the ruins are excellently preserved, waiting to be “discovered” among picturesque juniper and piñon pine, cactus, yucca, and towering red rock canyons.